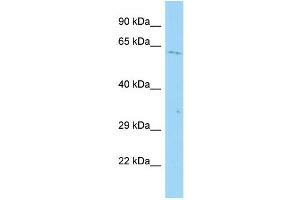 Characteristics This is a rabbit polyclonal antibody against ACSM2A. It was validated on Western Blot. Background ACSM2A has medium-chain fatty acid:CoA ligase activity with broad substrate specificity (in vitro). It acts on acids from C4 to C(11) and on the corresponding 3-hydroxy- and 2,3- or 3,4-unsaturated acids (in vitro).